Twenty-one days have come and gone and the Dominica Olympic Committee (DOC) is yet to hold fresh elections as mandated by the Special Annual General Meeting (AGM). 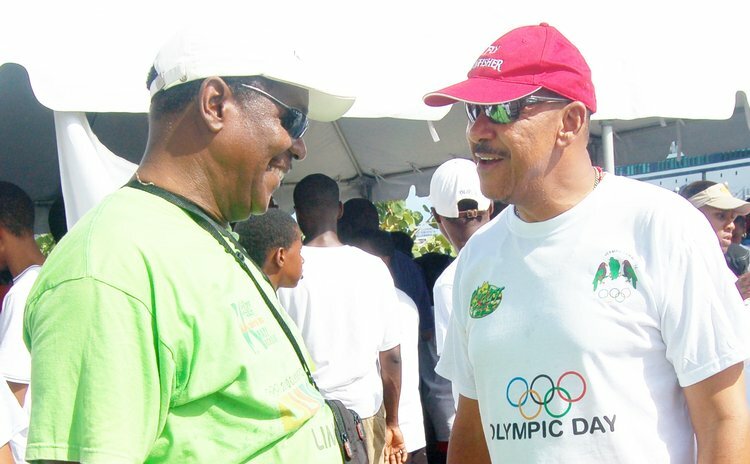 Persons who piloted the move that questioned the veracity of the January election of officers say Dominica is now at risk of "facing serious sanctions" from the International Olympic Committee (IOC). At that meeting fifteen sport associations affiliated to the DOC successfully passed a resolution calling for fresh elections within 21 days, that is, by June 6, 2013. One of the main spokesmen for the group is retired FIFA Referee and Elite Cricket Umpire Billy Doctrove who is tipped to become president of the DOC. Speaking on State owned DBS radio on the sports programme "Off the Field" Doctrove said he was "astonished and dumfounded" that "since the passing of the resolution the executive is yet to meet to discuss the matter." "They are yet to call a meeting to discuss the matter; the head of an association went as far as sending their nominations since they were aware that they would have been out of state at the deadline date for the nominations," Doctrove said. He is warning that should the DOC executive not respect the wishes of the "special AGM" they will be forced to take the matter further. "It is clear that they are refusing to respect the wishes of the associations and are saying that we are going down but everyone is going down including the DOC with us," an annoyed Doctrove stated. "I have been asked and approached by members of the various associations to represent them and after careful considerations I feel that now am morally obligated in sports to assist that organization. I am willing to take up the role of president," Doctrove said. "I have also been contacted by former Dominica triple jumper Jerome Romain and he wants me to take up the mantle of the DOC. This is what has further inspired me to take up the challenge…there is nothing the DOC can offer me. "We are going to write another letter to them asking them again for another Special AGM. We are trying our outmost to solve the matter locally; we are patient and tolerant and we want to do things properly and constitutionally. We are hoping that common sense will prevail."